I know few people have bowfishing on their mind now that some colder weather has finally arrived. I on the other hand just got my first bowfishing bow setup of my own and I’m itching to take it out this summer. I have gone a couple times in the past in SE IA with a friend that had a boat set up for bowfishing and had a blast. I currently reside in Ankeny. 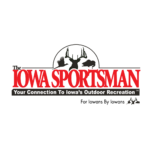 If anyone in the DSM area with a bowfishing rig has extra space on their boat for another shooter, I’d love to tag along sometime this summer. Thanks and good luck to everyone this year. I just wanted to bring this up again in case others didn’t see it when I posted back in January. Also, I forgot to mention that I would pitch in for gas/drinks or whatever else. Thanks! I bow fish, but I do it from shore. I have a boat, but it isnt “bow-fish ready”. I usually go down to Red Rock and hit the backwaters, (waders recommended) or I go down to Water Works park. There are a TON of carp in there, and YES, it is legal to bow fish in that park. (I did my research) When the rainy weather hits, go out right after the storm. Carp are just wanting to get arrowed then. If you want to meet up, I could sure use a bow buddy for a trip down to red rock. It is fun as heck down there. PM me if you want to go!